Izumi Hirano was born in Hilo, Hawaii, but moved to Japan with his family as a child. 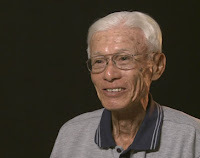 He was in his classroom near the epicenter when the United States dropped the atomic bomb on Hiroshima on August 6, 1945. Izumi Hirano's full interview is available in the Densho Digital Archive.